Also this month will mark another milestone; closing of the Ataturk airport. Thank you IST, thank you A340-300 fleet. -My notes say, in April TK will start Sharjah, UAE 5 x W with A321. -TK opens another lounge at BKK. -I was supposed to have a flight today from IST but last minute had to move it to a later date, so I'll experience the new airport pretty shortly. Safe travels and Happy landings to all. So will the new airport carry the IST code and be named Ataturk? Thanks for a new thread. Sad to see those go. I had some good flights on those. Hoping for a smooth transtition next week. Current Ataturk airport will become ISL at the same time. Other than SHJ, TK will also launch DPS, MEX, CUN, PHC, PNR, and LXR. The new airport will allow TK to further expand without congestion. It's also amazing to see how big TK has grown in the African market, with 3 new destinations this year added alone. Can't wait to see the new TK lounge. TC-JIH just departed from Istanbul and is flying to Johannesburg, for storage I assume, and another fact which surprised me is that this A343 was in configured in dense all-economy configuration having 354 seats. May I know which cities did this specific A343 used to fly at? There will be 3 lounges to start - domestic, miles & smiles, and business. I previously posted some details on the new airport thread..
Turkish Airlines Lounge Miles&Smiles, has an area of 5.600 m2 and can seat up to 765 people. Prepare to feel refreshed at our passenger lounge that houses 12 suites with 12 showers. 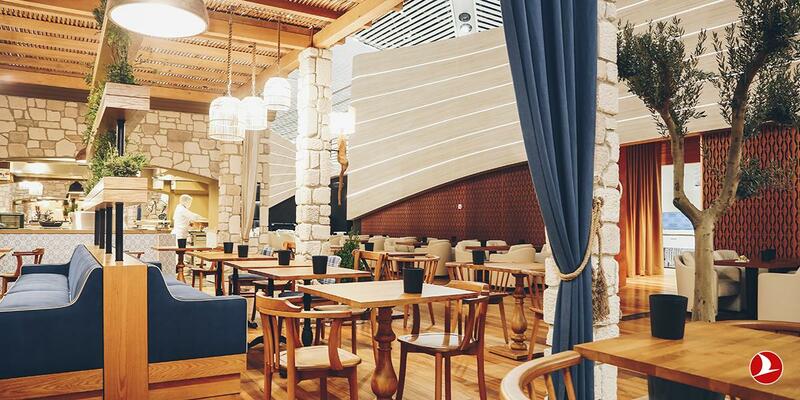 Until your flight, sit back and relax on comfortable couches and enjoy the delicious treats of Turkish and world cuisines we have prepared especially for you. You are in the right place for a good time. 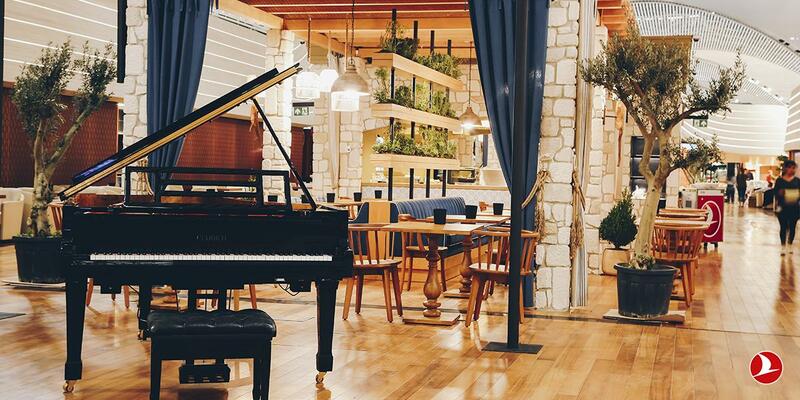 At the Turkish Airlines Lounge Miles&Smiles you can find a cinema, console gaming experience and spacious children’s playground where the fun never ends. If you wish to use your time carefully, then you can make the most of our meeting rooms and the library. Lounge Domestic, is accessible through a special entrance gate located outside terminal, you can complete check-in procedures and transfer directly to your aircraft on apron buses. 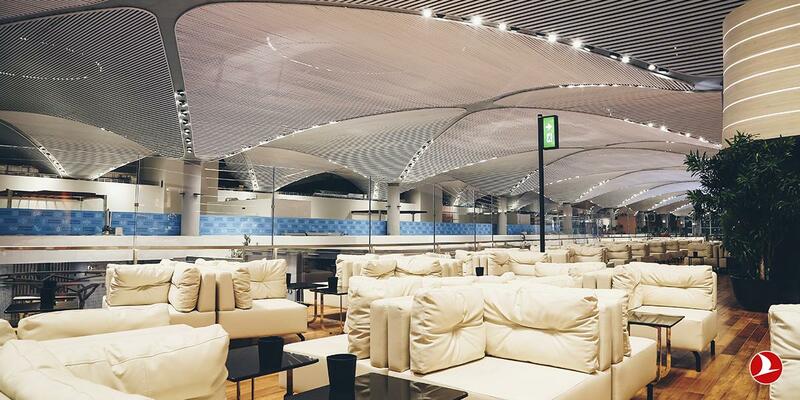 There is some Turkish aviation fan page on Instagram that published pictures of some lounges at the new airport. Don't know which one they were from the three mentioned above. The domestic lounge has been open since December so lots of those photos are online. TK teased some photos of their miles and smiles and business lounges last week on Twitter. -Business Lounge is only for pax flying Business Class on the day of the flight. I presume if you have *G and flying J you have the choice of both ? Or will TK just direct you to the J lounge ? as per LAXIntl's description, both lounges have the same size and capacity. I believe, there are only minor differences in the offered product. I'm wondering why TK doesn't have a more private offer for their best and most loyal own customers - Elite Plus members? Working near Kartal, Istanbul today and in a warehouse I saw some cabin parts from TC-JIK A343 stored ...Y seats, overhead bins, bathrooms. Shrink wrapped on pallets probably to be used for movie sets. Still trying to figure out the whole A330-200 strategy, operation and deployment of Onurair. Does it really pay off to have 11 aircraft in the fleet, but not using it for own ops at all? Here is an overview of the fleet (sorry, don't know how to include tables here...). Basically, half of the fleet isn't flying thus not generating revenue. On the other hand, is flying let's say domestically between IST-AYT/ADA/ADB/BJV profitable for them at all? Or other example, can they sell 300-311 seats oneway to one of their exotic international destinations (BGW, SCO, CIT, KWI, NAL, ODS, DUS, TXL)? I wondered about Onur Air too. Im sure they could use them on the Amsterdam/Dusseldorf if they restarted those routes again. Not sure why they scrapped them. The flights were always full. I know 3 Pilots who operate the A330 fleet for SV but 2 of them recently quit Onur Air and are now in training for Pegasus A320. China Southern is starting 3 weekly Wuhan-Istanbul flights on 787-8. Chinese carriers are very interested in IST lately, this will be the second CS destination, and Sichuan Airlines is also starting soon. IndiGo's DEL-IST flights now have a technical stop at DOH (only westbound), due to the Pakistani airspace closure. They also postponed the second daily flight. How come there is not special thread on its own for the airport move that will take place in few days. For those who can go, Wuhan is a beautiful place. Glad that Chinese airlines are taking more of an interest in Turkey. It is expected that China Southern will soon sign a codeshare agreement with AtlasGlobal. Lets keep in mind, Onur Air is privately owned including investment from tourism company, and formerly Iranian partner also, so it might have different business priorities, a bit like AtlasGlobal that has cross-investment with other companies. Obviously, it tries to juggle things based on the economic situation as not all streams will continually strong. Turkish Airlines announced in December last year that they would launch daily flights between Ankara Baku. Then in January, a week before commencing the flights, they announced they will start Ankara Tbilisi twice weekly instead of launching Ankara Baku and flights between Turkish and Georgian capitals were reinstated since then. A month later in February, Pegasus announced that they would launch daily service on March 31st between Ankara and Baku. The Pegasus service did not materialize but no further announcement was made by Pegasus either. Finally yesterday Turkish Airlines announced that they will start flights between Ankara and Baku effective from April 22nd. Turkish Airlines from late-April 2019 is adding Ankara – Baku route, previously scheduled to commence in January 2019. From 22APR19, the Star Alliance carrier will operate this route on daily basis, with Boeing 737-800 aircraft. Looks like there has been a battle between TK and Pegasus behind the curtain on this matter. Anyone can give some insight?? Should there be a new thread for the big move? I think it would be cool what do you guys think? And thats a wrap. The last flight, TK54 to Singapore has departed. Thank you Ataturk Airport for all the memories. Had my last flight from the Ataturk Airport on the 1st of April to AMM. It was sad to see the place like that. Darker than usual, shops had already started closing down. When TK 54 was departing, was the airport empty or were there some planes that were ferried to the new IST? Are there any pictures of the airport today or last night? Besides, all private and freighter aircraft will continue to use Ataturk, and there are lots of those around as always. Sad to see it like that from the photos. Many good flights to and through the airport also. I will miss the TK lounge it was unique. Thanks for the link to the pictures. Have they decided what will become of the land once IST officially closes down for all traffic? Don't you think it's time for PC to review their livery? Yes! I want Pegasus on the fuselage instead of Flypgs.com and a new letter font on the tail and more dynamic coloring on the livery! Onur Air still flies to DUS daily from IST using A320/321. Does anyone know what's the current capacity of the airport (IST) and how many expansion phases are there? I agree. I always read it "Flypigs". They should also change the name to something rather Turkic mythology than Greek. How about Asena Air? Asena is a great name for a future Airline! I actually like Pegasus and it suits because Turkey has a long and rooted history with Greece. A lot of Turkish citizens carry Greek DNA, and vice versa. Their original livery from the 2000's had the mythological winged horse "Pegasus" on the tail. In my opinion they can use this again to create a more modern design. White and yellow/orange in general is a difficult combination, but with a bit out-of-the-box creative design has quite some potential. 90 m pax, is the current capacity. There is 4 phases. For the last 2 days I’ve been following traffic at IST using FR24. I can’t follow ground traffic of IST as it is still not in the coverage of FR24. But 2 parallel runways of IST made a big contribution and there is no landing queue as we experienced at ISL for all those years. Pax will feel the difference, especially during days of southern winds. I heard rumor about long taxing process to the terminals after landings in new airport , is this true? I can say from firsthand experience (arrived from LHR this morning at 4am) that taxi times go up to 30 minutes. They will need some getting used to. Wow, a 30mim taxi time at 4am. Will be really bad then during daytime peaks. Can anybody suggest if the monopoly of THY at IST (Atatürk) and ESB will continue with the new IST Airport and ESB service. The argument was slot restrictions before but that is over now with the new airport opened, what excuse is there to prevent Atlas Global and Onur to start flying ESB?? IST ESB is the busiest route in Europe with monopoly after Russians eased Aeroflot's monopoly on Moscow St. Petersburg pair a few years ago by the way. very good question, but I'm sure, they'll also find an excuse this time. as you know, there is a big lobby behind this topic and the last try some years ago ended in the cancellation of flights just two weeks prior commence by KK (who btw. had sold tickets already...). According to the article linked below (Turkish only) the first plane was supposed to land at the Çukurova Regional Airport last month. I couldn't find anything about whether this happened or not. It's in general very difficult to find any (worthwile) info about the airport despite the construction being at a quite advanced stage. They also must've had quite some troubles over the years with cash shortages and strikes. Can anyone share some inside knowledge? Edit: I might add that the the head of Mersin's culture and tourism ministry used the expression "inşallah" in his statement about the first plane landing there in March, so yeah. Anyone know why TC-JIM is still at Ataturk and has not flown in 3 weeks?